So simple? True. 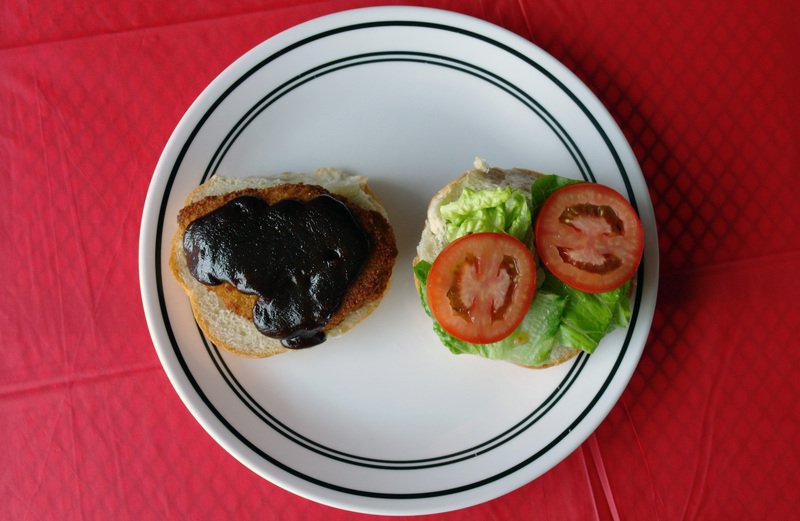 Breaded chicken breast covered with barbecue sauce on a fresh, soft kaiser bun. Match that savory goodness with crisp lettuce and juicy tomato. You have a makeshift summertime feast ahead of you. The sweet smokey flavor of the barbecue sauce will delight your senses and make you yearn for warm temperatures and lounging by the pool. But apartment living may leave you without a grill (or a pool), so do the best with what you have– work it out with the oven. No matter how you achieve it, the result will be worth every bit of effort. No go on and eat– it’s time to move past this milestone and seek out another.